…OK, but what flowers can I eat? 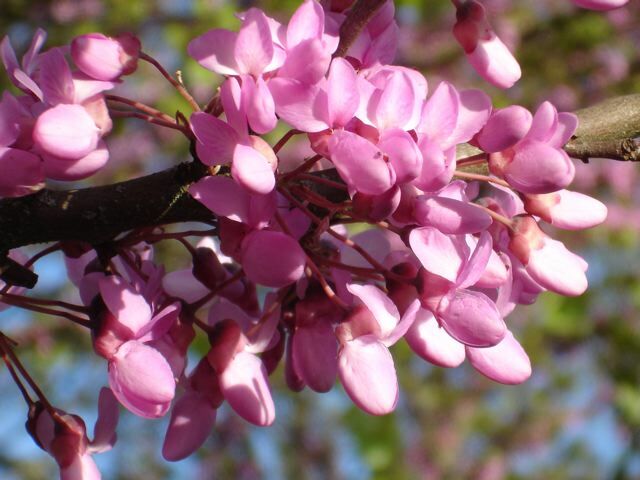 …the flowers from our Judas tree (Redbud to Americans). 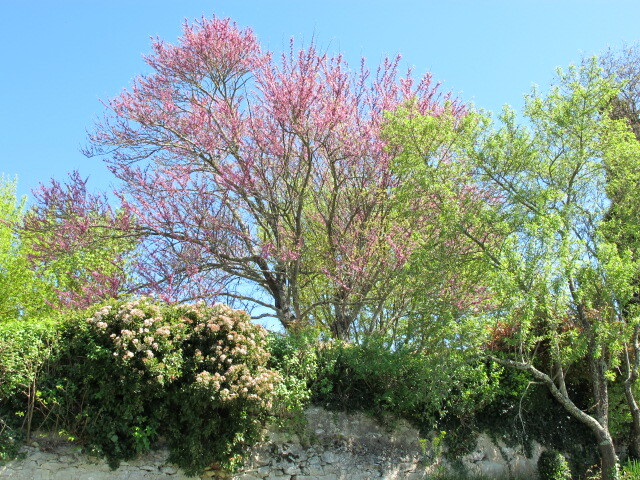 …which is almost in full bloom here–a magnificent sight. Legend has it that this was the tree from which Judas Iscariot hung himself. The flowers turned from white to blood-red in shame. It’s more likely that the name derives from the hills of Judaea in the Middle East, where this tree is commonplace. The flowers have a lemony citric taste–I’m going to try them in a salad tomorrow! JUDAS? I think I remember that was Demelza’s favourite swear word!! The flowers would look very pretty decorating a salad. Is there another name for Johnny jump-up? Have not come across this name before. I looked up Johnny jump-ups and they seem to be the viola or pansy family. If you “google” the name, it shows some photos.